Being an author, I try to be more diverse with my reading material, but it’s been a long time since I’ve read a comic book. I’ve admired the artwork on Elena: Divinity Rising for ages and I jumped at the opportunity to read the first two issues. If the story was as great as the covers, then I wouldn’t be disappointed. I was right, these comics are fantastic, and they reminded me of what I’ve been missing! Elena, a gifted young Russian woman working with the CIA believes she is investigating the terrorist group, Yuri. She, along with her boss Miller and her friend Alex, soon find the latest threat they face is not Yuri at all, but something far different. The action in issue #1 starts on the first page and doesn’t stop. The ending left me scrambling to get into issue #2 to find out what happens next. 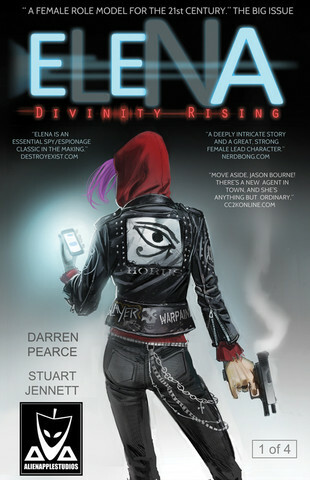 I really enjoyed Elena: Divinity Rising and I can’t wait for issue 3 and 4 to come out. The story is gripping and exciting and the artwork is fantastic. Darren Pearce and Stuart Jennet did an amazing job putting these issues together. 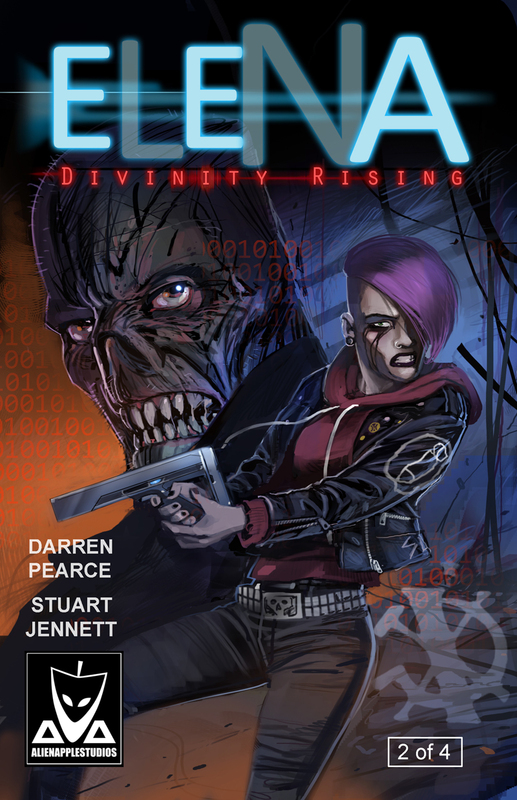 If you love action, suspense, and explosions, then you’ll love Elena: Divinity Rising. Grab a copy and dive head first into Elena’s world. Find out more about this young woman and her extraordinary gift. I loved these comics and give both issues five stars. Hey, if you are over on social media, you can follow Elena: Divinity Rising on Twitter at @ElenaAnchova and like the Elena Book Series on Facebook.